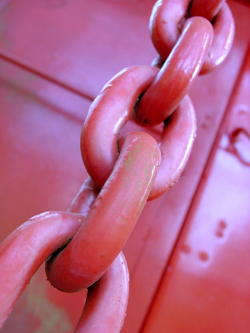 What Are Backlinks and Why Do I Want Them? A few years ago Backlinks, also called InLinks or Reputation Links, were among the most important ways to achieve high website rankings. Search Engines have recently reduced their importance, but still they should not be overlooked. Backlinks are links from another web site that point to your web site. Backlinks help your website rank better with search engines. Links from your website pointing to someone else’s website help their website rank better. Backlinks from high usage sites pertinent to your area of business will help your website rank much better. The best way to get backlinks is to ask business people you know, in person or on the phone, to add your link to their website. The second best way is via email. > Backlinks help websites rank higher. > You will add a link to your website, if they will do the same. This way both websites will rank better. > Follow up the conversation with an email containing the exact link you want. In some cases you may want to change the verbiage and destination. For example; if you wanted to highlight the fact that you have an office in a specific town you might include the town in your verbiage and link to a page on your website that specifically talks about your office location. This sends people who follow the link directly to the information they are interested in. Who Are The Good Candidates To Get A Backlink From? Business Associates: Fellow chamber members, networking partners, fellow rotary members, etc. Customers & Friends: Of course you ask them for testimonials (video testimonials are best), but if someone has a business be sure to ask them to link to your website also. Paying for backlinks is a definite “no-no”. There are companies, generally in India or China, who sell backlinks in bulk. In the SEO trade this is called a “black hat” technique. Buying backlinks usually results in your website being banned from Google and other search engines which will negatively affect your business.